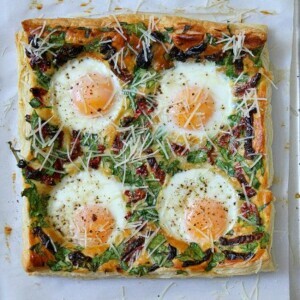 I used my usual Eggland’s Best eggs for this recipe. They recently released some exciting news too: Eggland’s Best eggs now have 6X more vitamin D than ordinary eggs, and are now an excellent source of Vitamin B2 (Riboflavin) and B5. 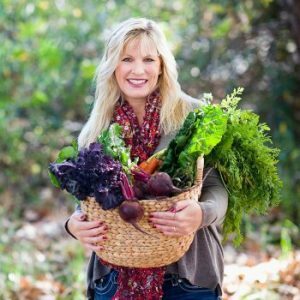 That’s very cool because Vitamin D is important for good bone health, and it may also aid in fighting diseases such as cancer, type 1 diabetes and MS. Vitamin D also helps to support healthy immune, brain and nervous systems. So be sure to eat your Eggland’s Best eggs! 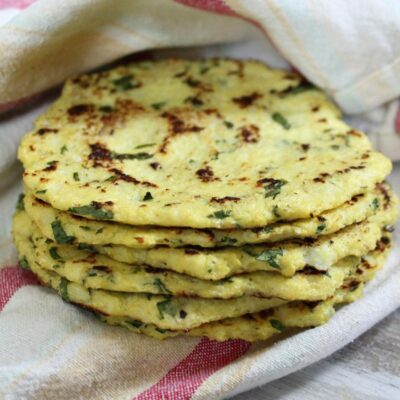 Here are all the goodies you’ll need for this easy recipe. 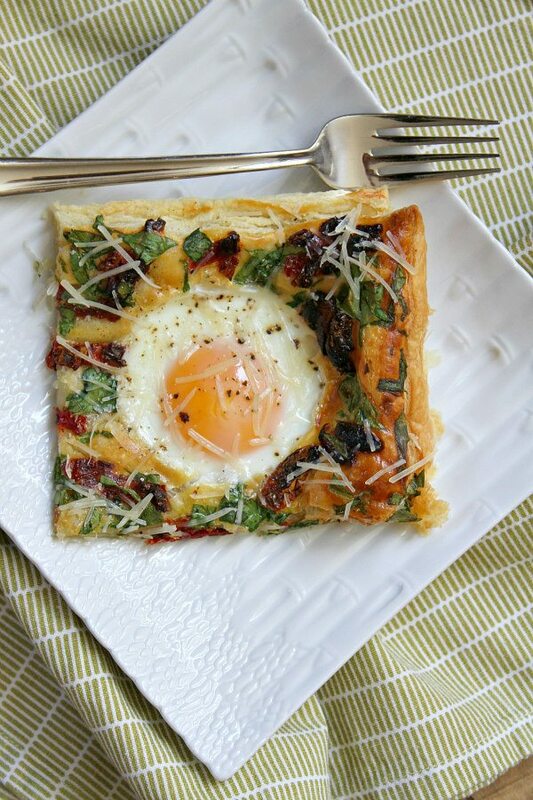 First you’ll use a cutter to cut four circles in the pastry, then you’re going to brush it with an egg wash.
That sticky egg wash comes in handy because you’ll then press some chopped spinach and sundried tomatoes into the pastry. 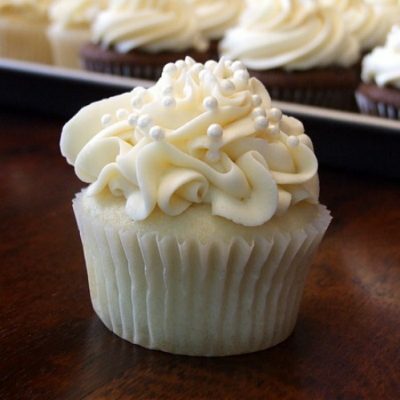 Another brush of the egg wash ensures that all of those goodies stay put while baking. Then bake! When you bake, the pastry will puff up like this. 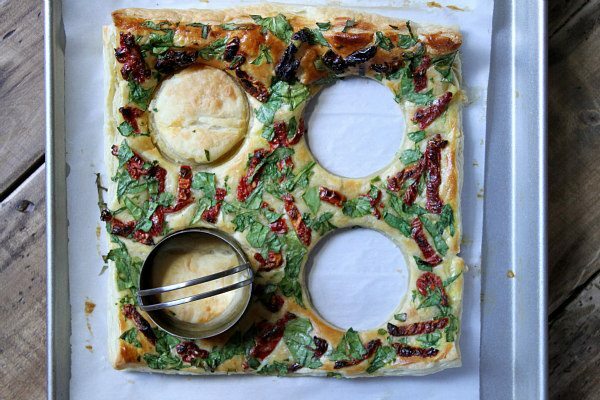 Grab your cutter, cut out those pastry circles that you previously pre-cut and toss them out. Here’s the fun part! Crack an egg into each circle. Bake again! 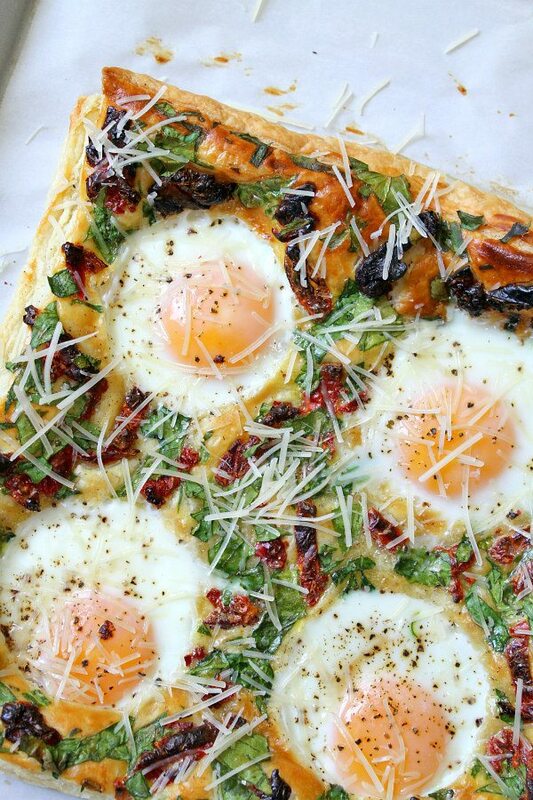 When it comes out of the oven a second time, your eggs will be baked to perfection. 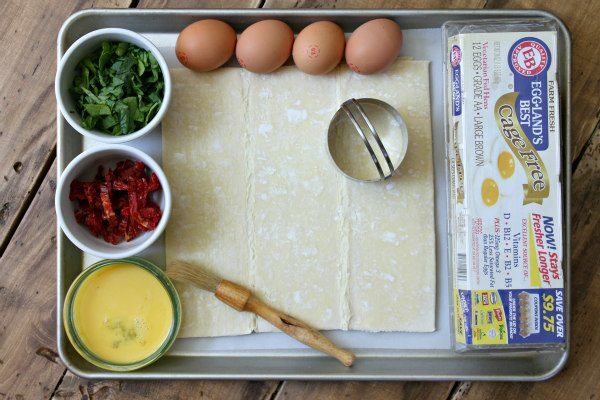 Sprinkle Parmesan, salt and pepper… and these Italian Egg Pastries are ready to eat! 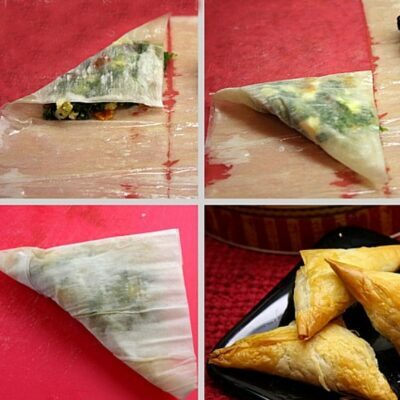 Cut the pastry into four neat slices. Make sure you have a rack in the bottom level of the oven. Preheat the oven to 400 degrees F. Line a large baking sheet with parchment paper. 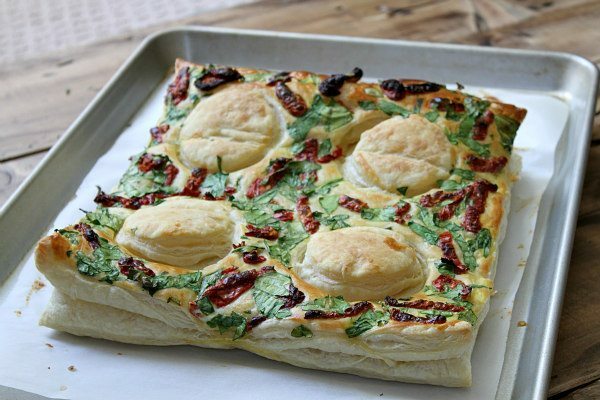 Lay a sheet of puff pastry on the prepared baking sheet. 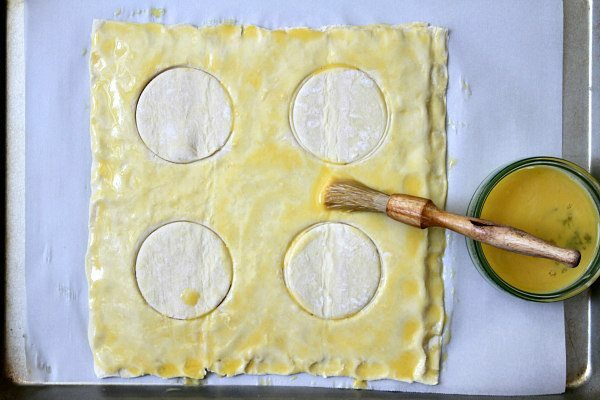 Use a 3-inch cutter to cut four circles into the puff pastry (do not remove the circles). In a small bowl, whisk together one egg, water and mustard. 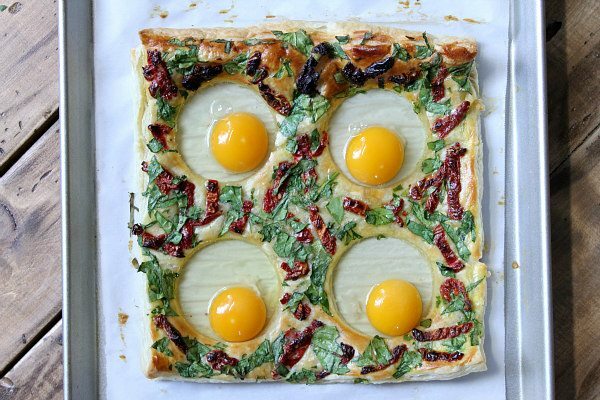 Brush the pastry sheet with the egg wash- brushing around the circles. 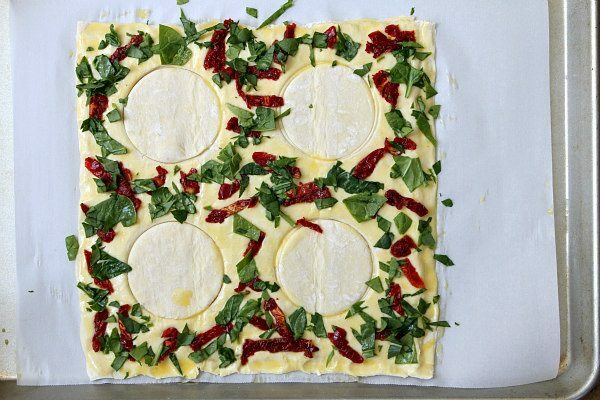 Press tomatoes and spinach lightly into the puff pastry, avoiding the circles. Brush again with the egg wash.
Bake the pastry sheet on the bottom rack for 12 minutes. Remove from the oven, cut the circles with the cutter again, remove the circles of pastry and discard. Crack 4 eggs into the four circles open on the pastry. 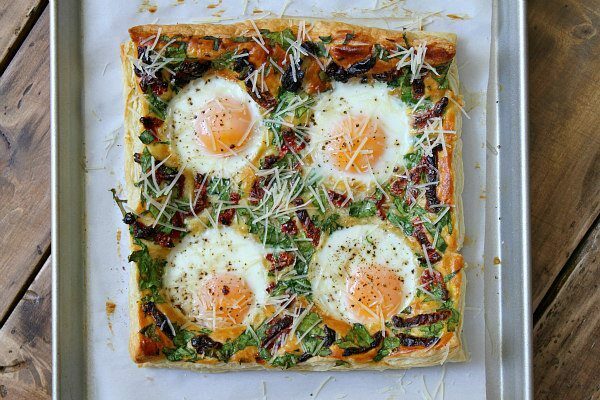 Return to the oven and bake 4 to 5 minutes, or until the eggs are cooked as you like them. 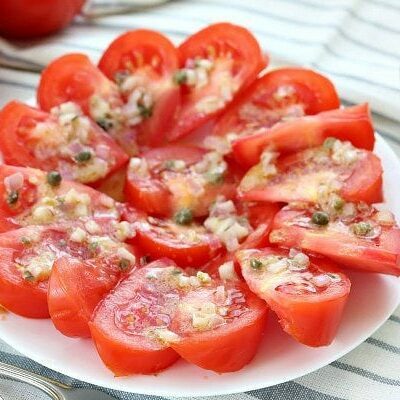 Sprinkle with Parmesan cheese, salt and pepper. 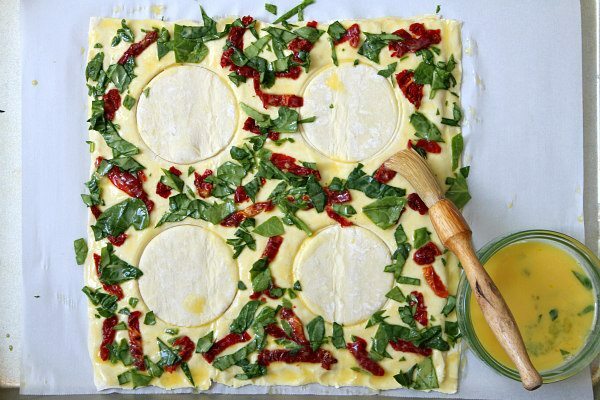 Use a pizza cutter to cut into four slices, and serve immediately. 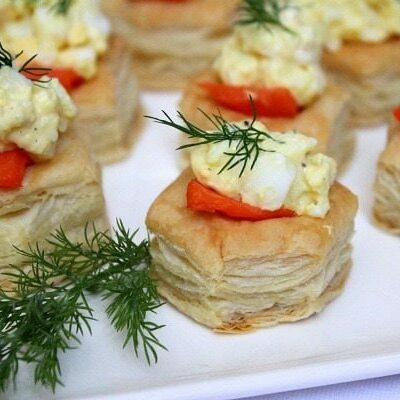 Puff pastry, not the thin filo pastry sheets. They should come in a package of two thicker pastry sheets, if you live in the US. Pepperidge Farm makes them. This is a keeper. Beautiful job and thank you for all your heart loving work. 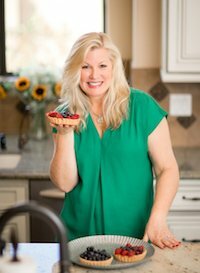 You help inspire cooks like me . The one that cooks every meal everyday and been doing for a long time. This reminds me ,yes there are some recipes I haven’t tried yet. Thank you again for the refreshing inspiration to cook some more . I hope you are enjoying your weekend. 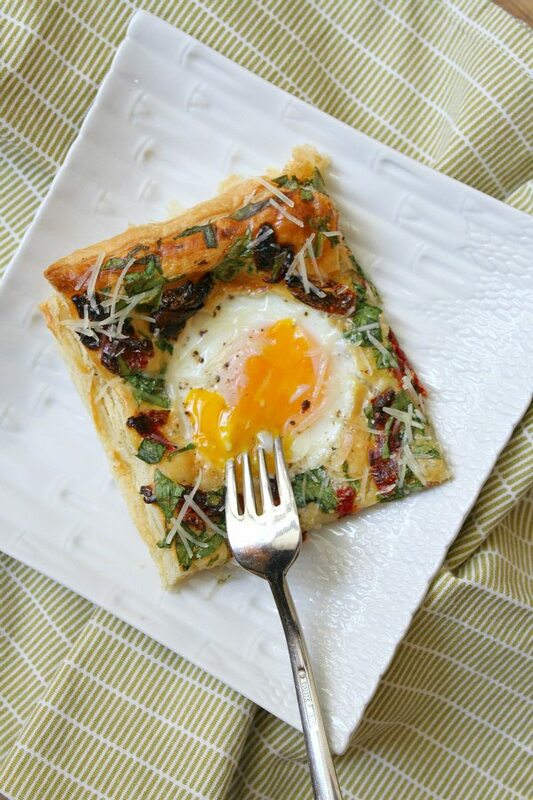 This is a perfect idea for a weekend brunch! So pretty and delicious!